One of the effects of aging that both men and women encounter is hormone imbalance. As you get older, hormones once produced by your body decrease. This can cause a number of problems, including mood changes and changes in libido, among others. While synthetic hormone replacements are frequently prescribed, there are a lot of advantages to using bioidentical hormone therapy instead. Bioidentical hormones are all natural rather than being manufactured in a lab. This makes it much safer to use than synthetic hormone treatments. Bioidentical hormones are derived from plants and animals that have the same hormones in a way that is identical to the hormones the human body produces naturally. A surprising number of people in America suffer from hypothyroidism. It is estimated that 20 million Americans suffer from hypothyroidism, and about 60 percent of them are unaware of the condition. It is important to know the most common symptoms of hypothyroidism and see a doctor if any apply to you. One of the most common symptoms of hypothyroidism is unexplained fatigue. You may feel extremely tired most of the time, with few if any short bursts of energy. You will feel more tired than usual at work, get tired easily when exerting yourself such as going up a flight of stairs, or find yourself completely unable to exercise due to tiredness and weakness. Severe fatigue of this sort can be explained by a number of conditions, but the most common is hypothyroidism. 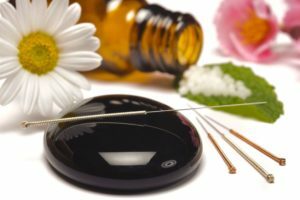 Most people have heard of acupuncture as a natural treatment. It has been featured in many magazines, television shows, and movies. But did you know that it is an effective method of pain management? With the opioid crisis in full swing and recent crackdowns on painkillers, it is more important than ever for people to find pain relief in more natural ways. Acupuncture could be that option for you. Acupuncture involves applying needles, heat, and pressure to targeted areas of the body. Although needles are used, it is a non-invasive procedure and does not cause any discomfort. Many people find acupuncture a very relaxing experience. This practice is part of Chinese Traditional Medicine. According to the traditional Chinese philosophy, acupuncture works to relieve pain and improve health because it restores the body’s chi, or life force, into balance. Many scientific studies have been done on acupuncture since it came to the US in the 1970s. These studies have discovered that acupuncture is likely beneficial for pain management due to the release of endorphins that follows the procedure. We are excited to announce that we now have a Bemer Mat in our office to add to your natural healing experience. If you haven’t heard of a Bemer Mat, you are probably not alone. Although these mats have been used widely in over 40 countries for the last two decades, they have only just recently come to the United States. What makes these mats so special? Quite a lot, as it turns out. BEMER stands for Bio-Electric Magnetic Energy Regulation. The mat makes use of pulsed electro magnetic frequencies, or PEMF, to aid in the body’s circulation. There are magnetic fields and frequencies all around you every day. BEMER uses these same types of frequencies to normalize and optimize the body’s blood flow. As an example, the Bemer Mat is used by NASA for astronauts, as they cannot survive without the earth’s natural magnetic frequencies. Acupuncture has been utilized for its health benefits since ancient times, particularly in Chinese medicine. This holistic health technique has become more popular in the United States and other western cultures over the past few decades, making it easier than ever to seek acupuncture treatment for acute and chronic conditions alike. If you suffer from headaches, hypertension, or chronic pain, acupuncture could be the treatment capable of restoring your quality of life. Here’s everything you need to know about this ancient practice and the many ways it can improve your health. Acupuncture was developed by the ancient Chinese as a system of pricking the skin or tissue with needles in order to treat a variety of physical, mental, and emotional conditions. They believed that by treating specific points on the body, acupuncture could release a flow of energy and stimulate the body’s healing process in order to restore balance. It’s easy enough to undergo basic lab work, but those labs fail to offer a comprehensive picture of your health. It’s all too common for doctors to order a standard lab without ever digging deep into the root causes of your health problems. 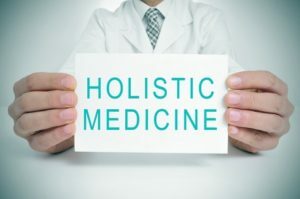 If you’re struggling with symptoms that don’t seem to make sense with your lifestyle or have no obvious trigger, you need the help and expertise of a doctor who knows how to use functional medicine testing to decode your health mystery. 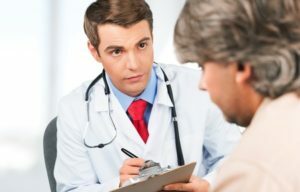 What Is Functional Medicine Testing? Functional medicine testing is distinctly different than traditional lab testing. 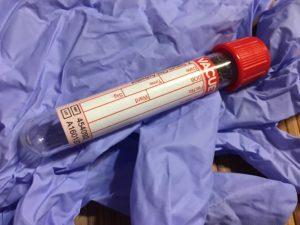 In most doctors’ offices and hospitals, physicians run standard blood work to see if they find an established disease process. Action is taken only when the lab results are out of the “normal” range. A New Year has finally arrived, which means it’s the perfect time to reflect on your wellness and make goals for the upcoming year. Healthy living is one of the most sought-after achievements, but it isn’t always easy to improve your habits alone. Tackle your health differently this year with FirstLine Therapy, a specialized therapeutic lifestyle program that strategically helps you embrace a healthier lifestyle. When you entrust your health to FirstLine Therapy, you will learn how to incorporate a sensible eating plan, customized nutritional supplementation, exercise, and stress management techniques to transform your quality of life. What Is the FirstLine Therapy Program Like? You can’t walk into any doctor’s office and expect to receive FirstLine Therapy. You need to find a holistic and integrative practitioner like Dr. Shemesh at MindBodySpirit Care. Dr. Shemesh helps you take simple, gradual steps to enhance your overall health, reverse existing signs of disease, and prevent future disease. We live in a world saturated with toxins like heavy metals that threaten the body’s health and wellness. Your body system absorbs toxins even when you least expect it, like as you eat fish or visit the dentist. This means that even if you maintain a healthy lifestyle, you’re still vulnerable to the damage toxins cause. 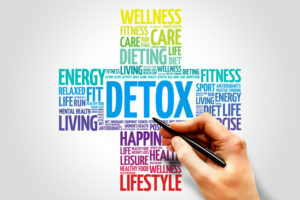 Fortunately, chelation therapy is a simple and effective way to detoxify your body and remove dangerous heavy metals from your system. Chelation therapy is capable of removing heavy metals like lead, mercury, copper, iron, arsenic, aluminum, and calcium from the body. During chelation therapy, molecules of the amino acid EDTA are delivered through an IV into the body. If you experience chronic pain that has become debilitating and often interferes with your daily activities, you could be suffering from fibromyalgia. Fibromyalgia is a complex chronic pain disorder that causes physical, mental, and social side effects. The sooner you determine whether fibromyalgia is the root cause of your suffering, the sooner you can seek effective and life-changing treatment. Fibromyalgia is defined as a widespread and chronic pain that creates many tender points throughout the body. People with fibromyalgia often experience fatigue, sleep disturbances, and light sensitivity as side effects of such profound pain. When fibromyalgia continues without being treated, it often becomes so debilitating that it interferes with basic daily activities. What if you could eat food you truly love, nourish your body, and preserve your health, all at the same time? Yes, it’s possible! Forget fad diets that force you to starve yourself, and instead embrace positive, healthy eating habits with the Mediterranean diet. The Mediterranean diet is more of a food lifestyle with powerful impacts on brain health. Just like the skin becomes more prone to wrinkles with age, the brain becomes more prone to forgetfulness and memory problems with age. The brain is responsible for performing countless cognitive tasks on a regular basis, from noticing colors and translating their significance to calculating time and forming language. However, aging makes these mental tasks more difficult. 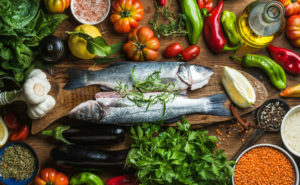 The Mediterranean Diet helps you maintain a strong working memory and may even prevent the declines associated with dementia and Alzheimer’s disease.